Spring Blossom is in the air. 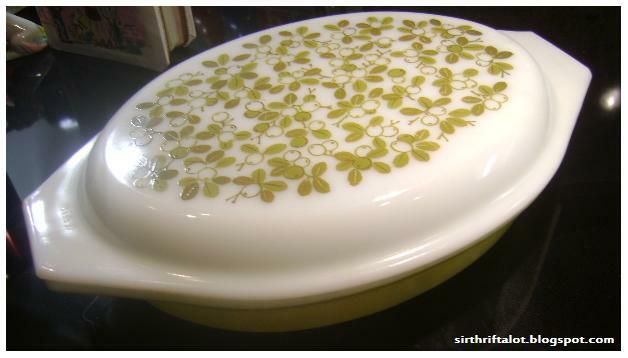 For the second week in a row, I have found a beautiful piece of Spring Blossom Green Pyrex, both pieces in magnificent condition. 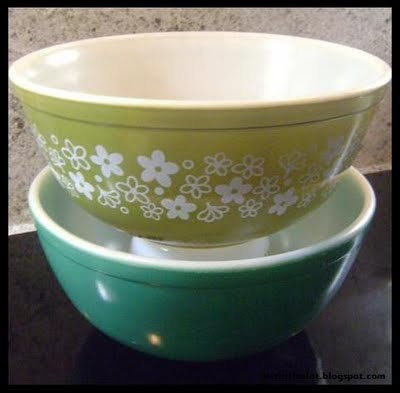 Last week it was the #403 Spring Blossom Green mixing bowl & this week it's the 1-Pint covered Spring Blossom Casserole with the lid, paid $5.05 for it. Made a trip to the same store not even 12 hours later & just wheeled out onto the floor was #441 Early American pattern in wonderful condition - $2.02. Great find! This is the first I've seen of this pattern in person. Also found yet another primary green that is in just a tiny bit better condition than the one I found last week & was a bit cheaper, this was was $4.00. 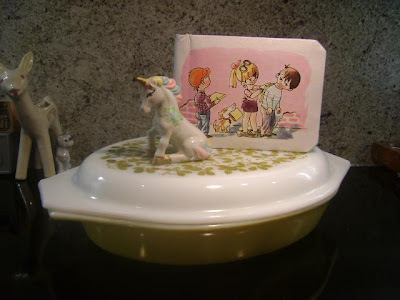 Also noticed that Sandra @ The Memory Workshop had found herself a Spring Blossom casserole & over at Vintage Betty's there was two separate occasions of Spring Blossoming this week! I'm over at THE THRIFTY GROOVE celebrating THRIFTY THINGS FRIDAY! Went to Goodwill today, nothing spectacular, just the regulars. I love hearing some of the other conversations of fellow thrifters, one of the gay guys who is a regular there was saying, "OMG! Honey, I just loove this pillow! 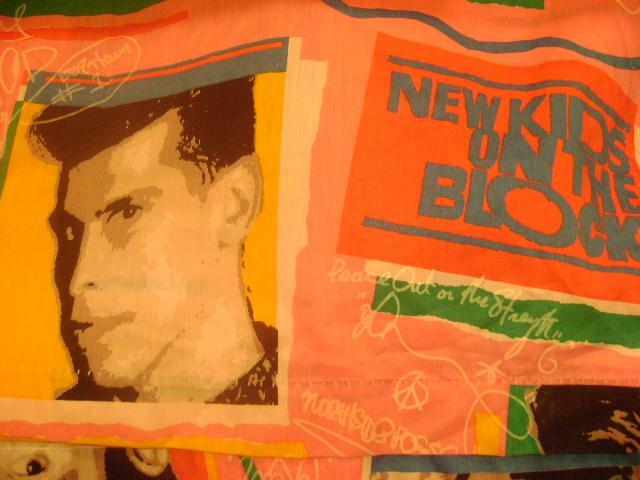 My pillow collection is just gonna spill out of the bedroom & into the living room!" Never expected someone to have a large pillow collection, lol. Makes ya wonder what else people collect. 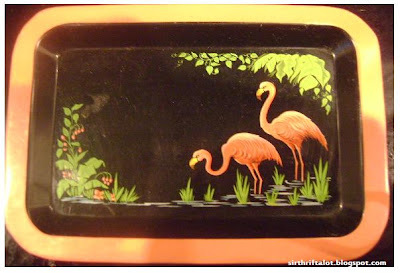 Picked up these small flamingo trays - they are all quite small, 4 are the size of a paperback, 2 are a size of a cassette. They were 99cents each. 1950's. I also picked up the Florida flamingo tray, not something I normally would buy, but I loved the classic look of it. 99cents as well. I picked this up at Value Village awhile ago. These are some more pins I picked up in 1 of 2 pin grab bags that were priced at $2.99 each, but I used a 30% off coupon to buy. My favorite is "I'm a Brat", too bad it's in such bad condition! These were all made in Hong Kong. 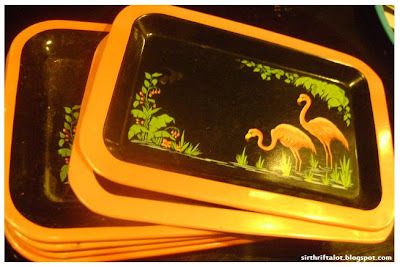 Taking part in Nifty Thrifty Tuesdays over at Coastal Charm. 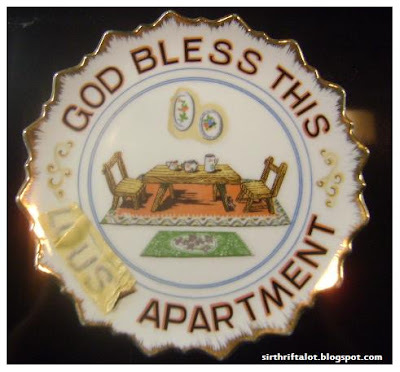 I found this decorative plate at Value Village, priced at $4.99 & the plate isn't better suited than any other moment or place than our current apartment. I'll go into detail at a later time, or if I forget, never. 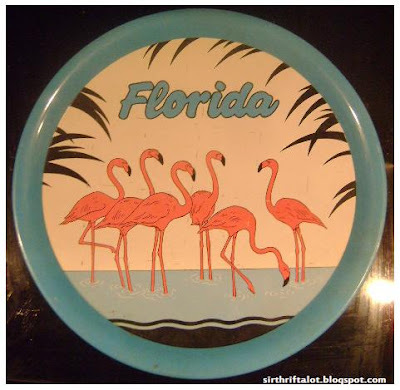 I really like how this person altered the plate with a piece of masking tape that became see-thru overtime. 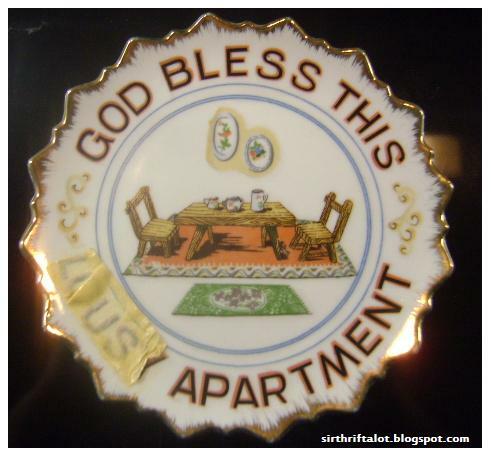 Did they buy the plate while they lived in a lousy apartment & kept it & altered it when they moved to a nicer one..? Donate it when they finally bought a house? Also got the pin on the same trip, bought 2 bags of them at $2.99 each. I used my 30% off card that I filled up & had forgot about! Because I presented this card after she had rang in my items, it called for her to laugh to herself, roll her eyes & kiss her teeth. UUUH, didn't know what to say, so all I said was, "I apologize I caused you such an inconvenience by presenting my card after you rang in the items, I was not made aware by any sign nor did I notice on the card that I had to present it to you before the transaction, but luckily I know that the next time you run this promotion, I will present my card before my transaction to not cause you such an inconvenience." She didn't want to hear it. I didn't want to hear her kiss her supervisor teeth in the first place. Probably happens a lot, which is why she kissed her teeth, but they probably should have done something to rectify the situation instead of make it out to seem like the customers fault.. 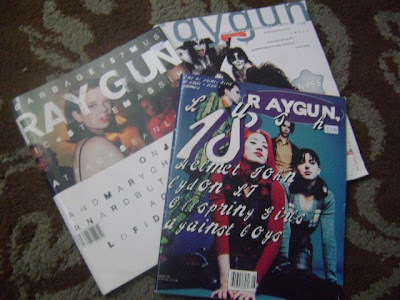 Anybody remember a fantastic magazine from the '90s called Raygun? One of my favorite magazines from the '90s, featuring some of my favorite bands. They're definitely hard to come across, so I was lucky to find 3 issues for $1.99 each at BMV here in Toronto. August 1994 issue featuring Lush on the cover, June/July 1998 issue featuring Garbage on the cover & October 1998 issue featuring Kiss on the cover. Read more about RAYGUN MAGAZINE! My primary bowl set is complete. Both bowls are from the same trip. Are you a company looking for a reviewer for your product? You are definitely in the right place! My name is Jordan. I'm a 20-something year old gay Canadian male living in the heart of downtown Toronto with my fiance Craig, our 2 cats & our beloved dog - Charlie! I love to shop. I love to save money. I love to try new, innovative things & I love to talk about the products I use & love. My only to vices is drinking pop & shopping. I've just joined a gym with my dear friend, so I'm looking to add new healthier options to my lifestyle. If you are a company looking for a reviewer, email me at: sirthriftalot@hotmail.com. All items send to me will not be returned. 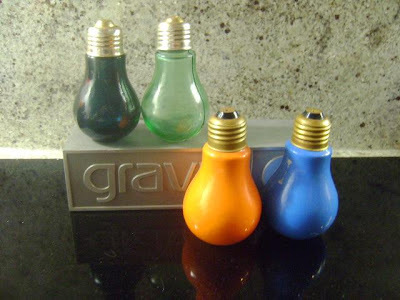 Reviews that will be followed by giveaways will have products shipped directly from your company to the winners home. OMG & Fire King Mug! I can home from thrifting today & almost had a heart attack - my blog had disappeared, deleted, replaced by a code & when searched, said code offered no advice. As you can see, I'm back, no heart attack, but with a Fire King mug I got from Goodwill for 99cents. 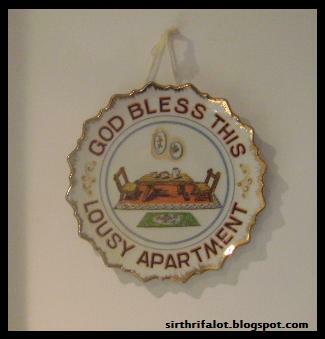 I'm not to fond of the Goodwill I bought it from. Don't go there too often, the people there are nuts, the stuff is usually crap, but you get the odd time you will find something great. A nice addition to my collection, as I do not have a Fire King mug yet. 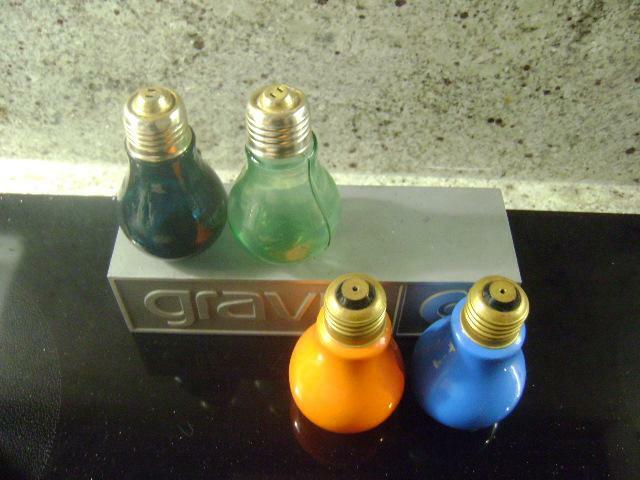 Here are some more salt & pepper shakers. A pair you have already seen, I had bought them off eBay, but now they are in my possession - the orange & blue light bulbs. I had gotten a great deal on them - $10.04 shipped. While I was waiting for them to be deliver, I had visited Windsor & found the green pair (Made In Hong Kong) in the curiosity shop for $4, marked down from $12. The pepper shaker is a bit damaged (as you might be able to make out in the picture) & still contained pepper. Let me tell you, old pepper that has sat in a musty basement doesn't smell fantastic. I managed to get it open without damaging the shaker any further. Onto the religious shakers, 99cents for the cent. Since one day I want to hold the world record for the most shakers (haha), I had to pick them up. 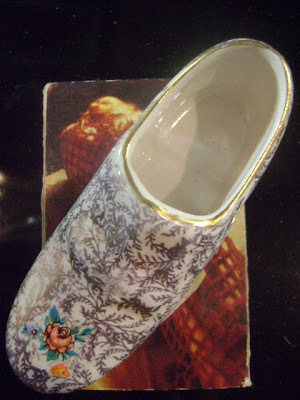 They are funky enough, too, when you consider the price. 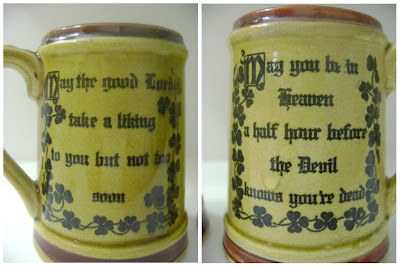 I've always loved the saying, "May you be in heaven an hour before the devil knows you're dead." I've never heard, "May the lord take a liking to you, but not too soon." Good buy. Value Village. Windsor. Below you have an eBay buy & the stickers came in a bulk bag from this warehouse place I shop at for 50cents. The main reason I bought the bag of junk stickers was for the book of blank receipts that I needed. These stickers are great! You never know when you are going to run out of pimples for the game Girl Talk! 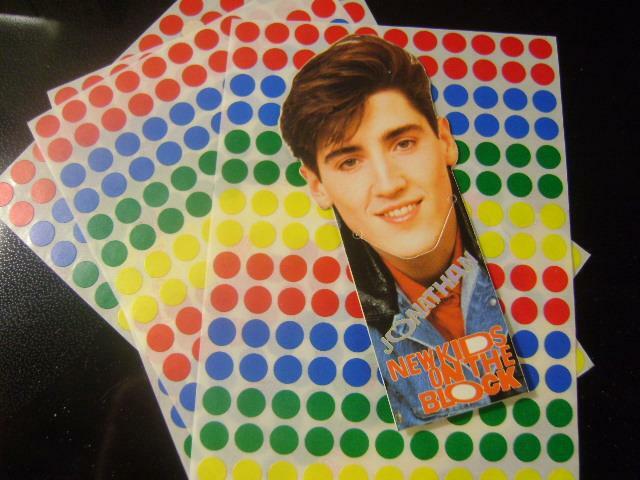 Jonathon Knight bookmark, 50cents, 75cents shipping - eBay, 1990, Big Step Productions. 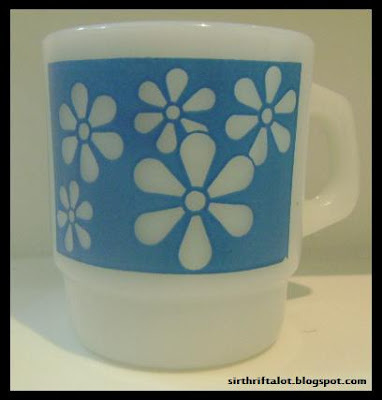 Taking part in Costal Charms Nifty Thrift Tuesdays! 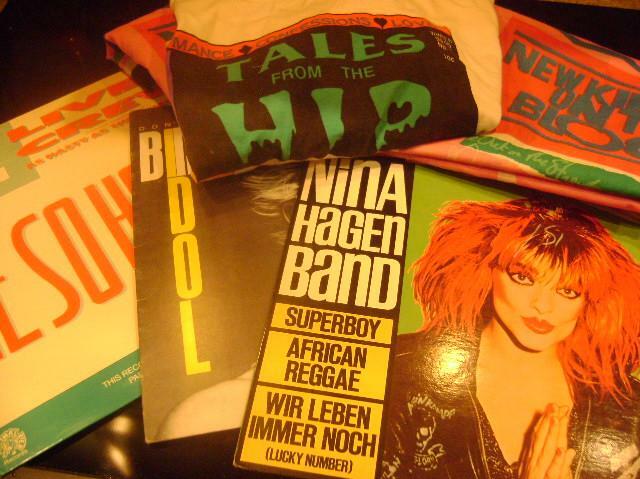 Some items picked up recently on a thrifting trip through Burlington, Hamilton, Niagara Falls, Toronto. All these items were from one Value Village or another. Picked up in Niagara Falls was this beautiful vintage 1960`s Pyrex Verde divided serving dish in almost pristine condition - it was priced to move at $4.99. I`m also in love with this little vintage made in Hong Kong autograph/yearbook picked up in a grab bag of other unforgettables for $2.99. Besides a tiny scrawl in green marker, it hasn`t been used. Enjoy the photos. 1950s? Bought in Hamilton. PS: The unicorn was only 99cents. 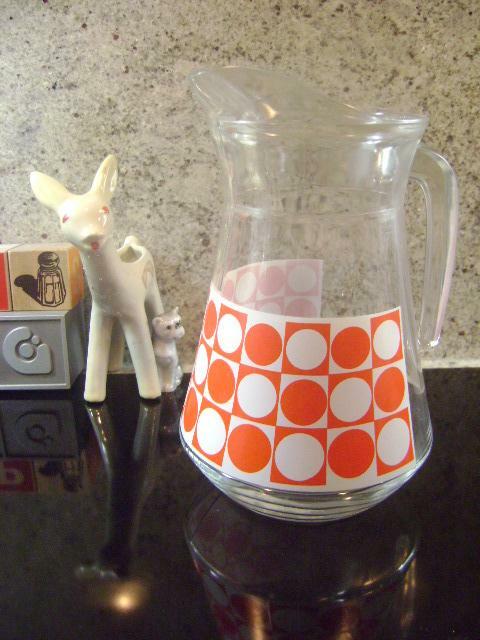 I`ve got matching salt & pepper shakers! Bought in Toronto at the same Value Village I bought the shakers at a few weeks earlier. 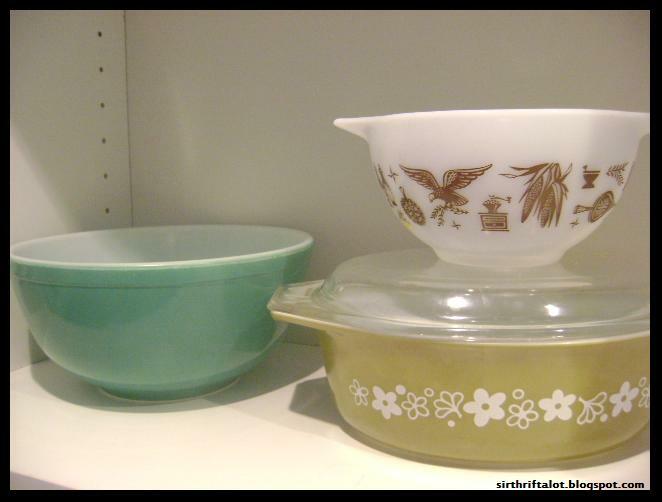 Linking up to Apron Thrift Girls Thrift Share Monday. This week I have decided to take part in The Thrifty Groove: Thrifty Things Friday. 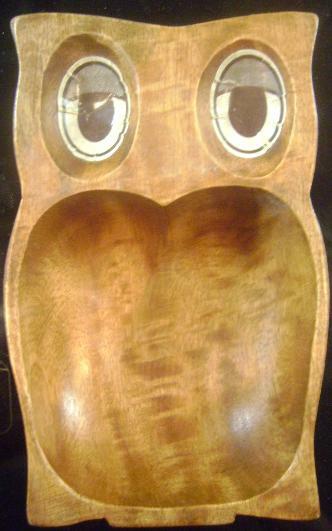 Vintage wooden owl, 70's? Value Village - $3.99. We're moving shortly, 76 days is shortly, lol. Depending on what the set up is like, this guy is going to have a hoot being our token & change bowl. An addition to my ceramic shoe collection (this one won't be on display, it's not a heel), Value Village, 99cents. The Divinyls cassette single for "I Touch Myself" (1990, Virgin Records) same price, same place, same trip. Enjoy the music video. I've always loved the Divinyls, even my dad has the CD, I was there when he bought it. My dad has Nirvana & Weezer CDs. 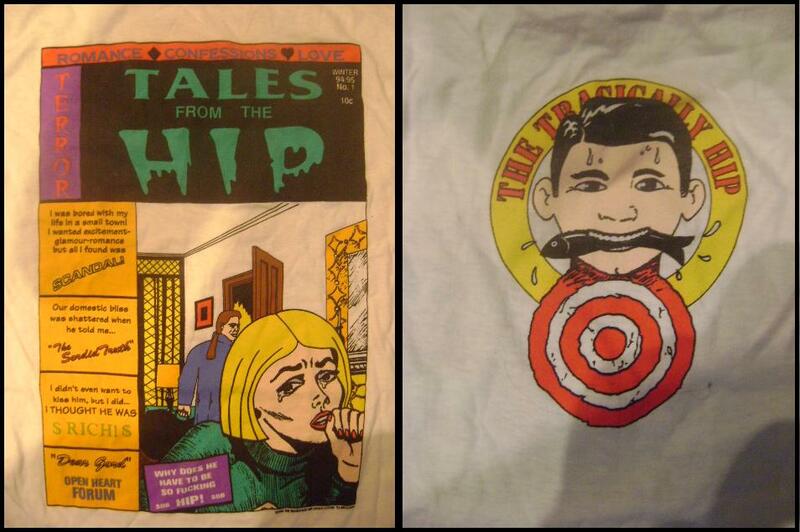 Next we have a The Tragically Hip t-shirt that has a title parody of the classic show - Tales From the Crypt - get it? Tales From the Hip? HAHA. Click the pic of the shirt if you'd like to read it. I'd really like to meet who does their pricing. Why is a shirt with the sleeves cut off - by the old owner - $4.99 & a never worn band t-shirt $1.49? The world will never know. 1994. 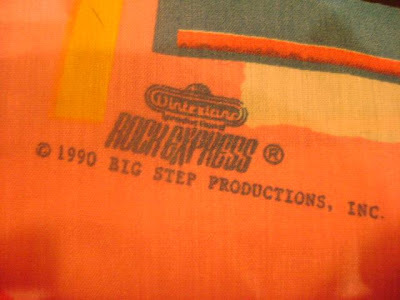 Shirt & the curtains - Value Village. All vinyls were $1.51 each at Goodwill. If you don't remember the music video for Me So Horny, look it up on Youtube, that video actually got them arrested back in the day. 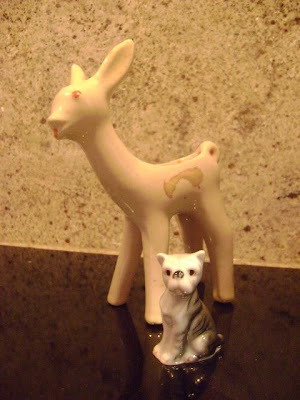 The deer & the dog came from Value Village. 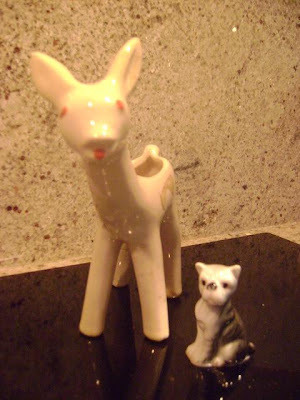 The deer is simple & amazing - a creamy white, with red for a nose, eyes & a tail. I'll be using him for a Christmas decoration. He was $3.99. The dog statue was cute & reminded me slightly of my Charlie, he was 49cents. Here are some more free Coke Rewards codes. Went to the USA the other day. Last time I posted codes someone used them & didn't post that they used them. Not cool! You don't need a blogger account to post that you have used them. Please be kind enough to let my fellow readers know you have used the codes so nobody else wastes their time trying to input them.